Last Sunday, the Catholic Church celebrated Pentecost Sunday commemorating the descent of the Holy Spirit upon the Apostles. By his coming, the Holy Spirit emboldened his disciples to proclaim the Good News of Salvation to all corners of the earth. Filled with the Spirit, Christ’s disciples spoke in different tongues to be understood by all peoples including Jews and Greeks alike. Recall that Jesus Christ during the last supper and before his ascent into heaven promised his disciples the Holy Spirit saying: “And I will ask the Father, and he will give you another advocate to help you and be with you forever” (John 14:16). From then on, the primitive church spread from Jerusalem, to Greece and finally to all the regions of the Roman Empire. After two millennia since Christ called Peter and the other disciples to make them fishers of men, the Roman Catholic Church has become a great and time tested religion. The Spirit that came down to rest upon the disciples in tongues of fire and spoke to the prophets of old is the very same Spirit that animates and abides by his Church all throughout history. From the persecutions of the proto-Christians to the Second Vatican Council, the Spirit guides the Church, fulfilling the promise of the Lord that he will be with them forever. The Holy Mother Church has flourished upon the blood of the martyrs, and survived triumph over countless adversities including heresies and apostasies. In the contemporary times, we have witnessed palpable changes brought about by the Second Vatican Council in order to renew Catholic doctrine in a modern timeline and perspective. 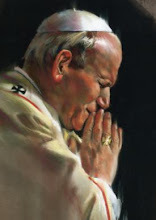 And among the many fruits of Vatican Council 2 is the Neo-Catechumenal Way, an itinerary of faith and adult Christian formation that my wife and I have been walking for around twenty years. The Neocatechumenal Way “Way” began in Madrid, Spain in 1962 among the slum dwellers in Palomeras, Spain with Kiko Arguello and Carmen Hernandez. In the last 50 years, it has spread to 105 countries. Inspired from the catechumenate of the early Catholic Church, by which converts from paganism had to undergo some form of initiation before baptism, the Way has post-baptismal formation to adults who are already members of the Church. It is an itinerary of Christian formation to discover once again our baptism. Presently, it runs 100 seminaries in many regions and is sending hundreds of “families in mission,” to live in many cities around the World in order to proclaim and be witnesses to the Gospel. In 1975, the Neocatechumenal Way reached the Philippines through a Spanish team composed of Fr. Miguel Suarez S.J., Gregorio Sacristan and Virginia Bacyens. The first parish that accepted the way in the Philippines was the Jesuit parish of Mary the Queen in Greenhills, San Juan. It was Jesuit, Fr. Juan Andechaga S.J., parish priest at that time of Mary the Queenm, which opened and accepted the way, Later on, Fr. Andechaga would himself become an itinerant priest catechizing communities in the Visayas. Last Friday, June 6, Kiko Arguello, the initiator of the Way and one of three responsibles in the the International Team overseeing the Neocatechumenal Way, visited the Philippines for a vocational meeting. It was attended by thousands of catechumens from all over the country with a spattering of delegations from other Asian countries like Singapore, Mongolia, and Malaysia. In that celebration hundreds of young boys and girls stood up to enter the seminary and cloister and dedicate their lives to the service of God. Equally, dozens of married couples expressed their willingness to be sent on a mission, that is to evangelize and be witnesses of the Gospel.